Little River Band were one of Australia's finest and indeed biggest bands. Many reading this may not be aware that only a small number of Australian bands broke America successfully, and Little River Band were the first and quite probably the biggest success in the States. They're in the fine company of future successes INXS, AC/DC, Air Supply and Men at Work. We caught up with original band member Graeham Goble in Melbourne, Australia. We were huge in America and I am still disappointed we didn't have bigger success in the UK and Europe because we loved coming over to the UK and Europe. We did OK in Germany and in the Netherlands. But we didn't spend very long there because the band was doing so well in the US and Canada. So that's where we spent most of our touring life. Yes, we were the first band actually. It was a big deal when we were the first doing it. A lot of English acts didn't succeed, and even Abba didn't. It seems so extraordinary that success there eluded so many major artists. Even Cliff Richard and The Shadows and other what I would consider iconic artists never made it in America. The Little River Band individually were all known in Australia before you became together as the band weren't they? Yes, Glenn Shorrock had been in Axiom and Twilights, Beeb Birtles was in a band called Zoot who were really big in Australia and I was in a band called Mississippi who went to England but we broke up. So we formed around 1975 in England when Missisippi broke up. Then we got a record deal in Australia and the turning point was getting a deal with Capitol records in the US. It just kept on rising and rising and we had top ten singles five or six years in a row up to 1983. The thing was we were constantly touring the US, first as supporting act. We just went over there, found out where we needed to be seen to get our record noticed and got the agent to get a support slot. By the time the second US tour came around, we were a strong live act as we had played literally thousands of shows in Australia. After a [US] tour and half maybe, we were starting to headline our own shows and at the same time, the singles that Capitol started releasing were getting airplay. Wasn't Help Is On Its Way the breakthrough in America? Yes, but the first single, It's A Long Way There got to No 28 on the Billboard chart and that got us going. That single was what Capitol released when we toured the US in 1976. Then the second single, Help Is On Its Way - made 14 on the Billboard chart [and also the band's best selling single in Australia]. By then, we had played so many shows in America, we were starting to get noticed by a lot of people and starting to get famous. Yes, and a bit of talent in there somewhere! Certainly wasn't suggesting a lack of talent! Just commenting on your hard work and persistence. We worked very hard. In all the years touring with the Little River Band, I probably had no more than four hours sleep a night. It was constantly touring or rehearsing or recording in the studio for a new album. There was no rest for ten years. It must have felt like the proverbial rollercoaster in some ways? Yes, very much. Rewarding? Yes, but very exhausting. But that's the nature of it. When you are young and you get that opportunity, you just go for it. Our albums were all going platinum in Australia and Help Is On Its Way going to number one. The singles did OK, but the albums went multi-platinum in Australia. It's a shame (and Lord only knows why as LRB were a great band) that as much as you love the UK and Europe, you weren't as big as you were in Australia and the US. In 1977 you played Friars Aylesbury on the Diamantina Cocktail tour but for some reason it just didn't take off as well over here. Do you think this was mainly down to your time being elsewhere with the US success etc. Well, there's not the touring opportunities in the UK as there are in America. In the UK, we did that 1977 UK tour, but there is not the ability of endless touring or radio opportunities in the UK that there are in America. The set up is completely different. If you live in the UK, it's easier, but it's expensive to stay (from a non UK band's perspective) if you are waiting for things to happen. In America you can gig every night, as we did and things were happening as we travelled. Yes, and the costs too. We went to the UK and Europe in 1977 but could only do it with record company support because we were not paying our way with record sales. And there were the costs of our air fares, freight and accommodation. We couldn't make the shows even pay expenses from the shows so Capitol sponsored the tour in the hope we would break through there or Germany. But with the success in America, there was less time to get over to Europe to capitalise on anything. That's what it boiled down to, we had no time left in our schedule. After 1977 and as the band got bigger and bigger, there was a change in line up, you had John Farnham ( the same John Farnham that went on to have huge solo success with You're The Voice) join you around 1982 when Glenn Shorrock left. That was a big change. I thought we were continuing to evolve. When John joined, we had a huge hit in America then the head of promotions at Capitol records resigned and the new head was not a Little river Band fan. So the hierarchy that had signed and bankrolled the Little River Band had changed. The financial tap was turned off and really was the end of our career. Also around this time, your sound had started to change as well. Many referred to you as being of an American West Coast style, I can certainly hear Steely Dan and Boz Scaggs influences/styles....did you feel you had to change styles? The change was for a very good reason - it you look at the Beatles first and last albums, there is no comparison. We had many things we wanted to get out but without the record company support....we were going in a direction we wanted to go in without treading over old ground. I think we made some great new music but it didn't get the [same level of] exposure. It could have been as big as some of the earlier songs. Also You must be proud of being the writer of the US Top Ten hit ‘Reminiscing’, apparently one of the most played songs on the radio in American history! Yes, 'Reminiscing' has had almost 5 million plays in the US and has become an iconic song, that I'm very pleased to have written. How did working with Sir George Martin as producer on Time Exposures come about? It was a simple fact that we were aware that George was still producing and that he had a new recording facility in The Caribbean. George came to one of our US shows and he agreed to produce our next album, which was "Time Exposure". We also got to work with the legendary Beatles Engineer, Geoff Emerick. You were also involved in Live Aid in 1985? Yes. I don't think the Australian part was broadcast in the UK though. Looking back over 35 years, I see the Little River Band as having cemented its place in Australian music history and folklore as one of the most significant and important bands to have come out from Australia. You must see it this way too? Yes, but I don't think for some reason Australians see it that way. For some reason, we were inducted into the Australian Rock and Roll Hall of Fame, but generally, the Australians don't tend to revere us as the Americans revered us or any other country for that matter. They seem to revere us less than anywhere in the world. I don't know why that is, that seems to be a bit of an Australian thing. They don't seem to care too much about their heroes. 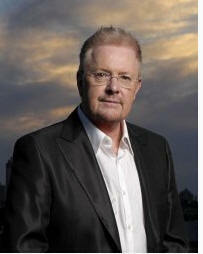 Do you consider then maybe that Australians think of say Air Supply more than yourselves? Air Supply were just the same. The Australians preferred the heavier things like INXS. AC/DC? Yes, they were the head of the tree. Men At Work even, although they only had a couple of hits were revered more than Little River Band, although Down Under is a cult anthem. I'm not saying this because I was in the band, but we were without equal. We made great records, 13 top thirty hits in America, 25 million albums, so I do agree with you, that we should be more revered than we are. These days you are more inclined to do your solo work, you haven't been involved in the Little River Band name for some time have you? I was reading about that and I was horrified. It’s been stolen from us basically. What happened was that a guitarist (Stephen Housden) who joined the band after all the success...when we started individually leaving the band, we signed away our one dollar, one unit share in the band back into the pool, what we didn't realise was that we were actually signing away our ownership of the band name. When I left I signed my one page registration and turned my one unit back into the company. This guy who has been touring America as basically a covers band has been using our name. We (all the original members of the band) want to play but we can't be promoted as the Little River Band. So, you can't even go out as the Original Little River Band? We tried to use that and he took us to court and got a court injunction to prevent us from doing that. So we couldn't use the name in any way at all. So you have one person joining the band after the hits now calling the shots and effectively denying you your history! Yes, he owns LRB trademark and he doesn't even tour himself anymore, he lives in Ireland. He just works with session guys out there. It is! It shouldn't be allowed. You have similar situations in the UK, with bands touring as two different versions, it is ridiculous. It is. There's no way that the original name of the band should have been allowed to have been abused, and that's the truth and we legally can't do anything about it. So you'd have to go out, as you have done in the past, as Birtles Shorrock Goble? Just so I have a clear understanding...US promoters couldn't even bill you as 'Birtles Shorrock Goble playing the songs of the Little River Band'? They (the promoters) wouldn't even go for that and we've been trying for five years to get a tour in America and no-one will take it on. That is unbelievable given how big Little River Band was in America. The individual members of the band are not famous in the way say Don Henley is of The Eagles....and this is why this guy is getting away with using our trademark. People will see LRB playing in America not knowing the band is all session musicians standing there and sounding a little bit different. This touring band has no original members. It's crazy. To bring us to where we are now, you have your solo career and where are you now with your solo albums? I have just released some new material, which is on the website and hope to have a new album out this year. A lot of people don't know I have made new music as I cannot get to the people who follow the Little River Band. The ones who do know and find me like what I am doing now but the fan base is small compared to what it was. It's a passion and I make records with the same degree of quality, the songwriting is as good as it ever was. I make them and let them go out. I guess you are making music to please yourself, but you're obviously still appealing to the the fans who were there when Little River Band was huge. The way people look to get music today is different with downloads (also available on my site) but the competition is different today and you have to be satisfied with less sales. It costs substantially more to make my CDs than I actually get back from them. Yes, plus of course, I could sell my CDs at the venues. I am not famous enough to enough people. People like you remember us, but [my name] isn't a draw as it isn't a famous name. And not being able to use the LRB name is of course a massive drawback. Graeham, thank you for your time and best wishes from all at Friars Aylesbury. This interview and its content are © 2011 Mike O'Connor/www.aylesburyfriars.co.uk and may not be used in whole or in part without permission.